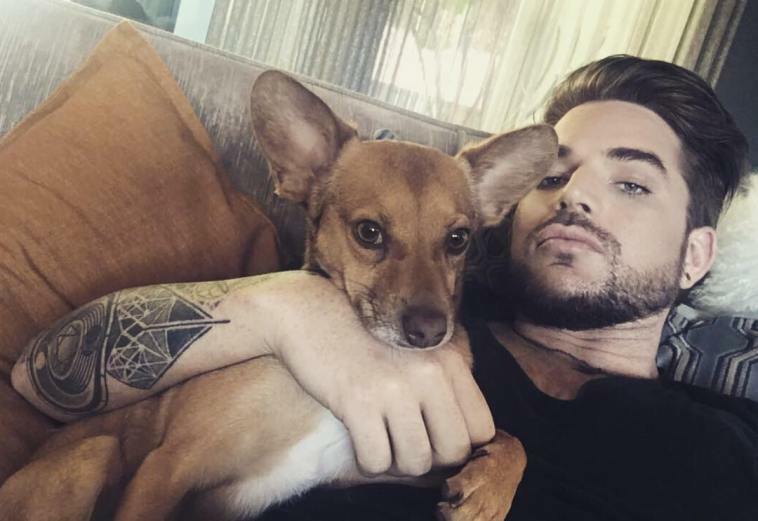 Adam Lambert is obsessing over his new dog Pharoah. Can you blame him? Helloo Pharaoh! I see you come here almost every day. You like this place, your Daddy's 24/7 home-site and now yours too. Good morning Lam-My! 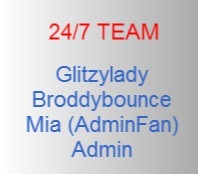 Yes, I like 24/7; the people here like me, well, at least they don't complain Owoooh! And you talk to me...I like that because some of the things I have no idea what they are, I wasn't around here then. You are so beautiful and well-mannered, what to complain lol! This picture seems to be your Daddy's favourite; both looking stoic. Yea, life ain't a bouquet of roses; the higher one climbs the harder and lonelier. By the way Grandma Tess says she enjoys our 'conversations'. Well, she's one of the 24/7 pioneers like me from the start when your Daddy first opened his mouth to sing Mama. We'll be hearing Mama one more time in the upcoming summer tour 2017 with Queen. Yea, I too think my Daddy sings like an angel; don't know what is an angel, just heard it being used to compliment my Daddy. Owoooh! Oh, I came across a video, a dog breed named Pharaoh Hound; the ears are big like yours and can do a lot of tricks; very intelligent; but I prefer your appearance and manners. By the way, your ears are really impressive-looking, like a dish-antenna. I always stare at them; bet they can pick up sounds from a mile away. Aloha ! Pharaoh...and your Daddy, my favourite Rockstar! 'Fox News's Sean Hannity called for a "purge"....' used several times in the article 11 March 2017 / Telegraph News. Mr Hannity politely put it within quotation marks. Aha, I seem to have fans from both sides of the aisle! lwl! Correction ... the actual quote should be "alternative facts"! Fox News is full of it! Actually, I'm not quite attuned to the term "alternative facts" vague, not sure true or not lol! I mean a fact is accepted by all as true; so alternative? Let's see...ah, how about, pseudo truth ! At least pseudo is clearer and means there may be some truth or half truth, not entirely false. So what do my fans from both sides of the aisle have to say? lwl! By the way, I read about "a shadow on the wall in the White House". I've got news for the Writer/Telegraph. I wrote a story about Bert moonlighting, making his deliveries and this shadow follows him from wall to wall eerily. Okay, this 'shadow on the wall' idea was expounded by my aged Mother. I once asked her if she had ever seen a ghost. And her reply was yes. So I asked what it looked like. She said it was 'a shadow on a wall' as she was walking home one late night. Oh my goodness!... Watch MSNBC, CNN, New York Times, BBC --- you obviously won't see/hear it on Fox. Actually, I had been holding back what I'm about to expound; don't accuse me of starting it because I was just amused that my accidental word, purged, got media attention. I'm not into the politics of the whole upheaval/manifestation; like I pointed out, both sides of the aisle news media use my wordings and it intrigues me. By the way, I have several news channels to scoop from not just one or two. In fact I just drop in as and when I feel like it, rather ad-hoc. Okay, regarding Kelly Anne/ and Trump Writer's use of the term "alternative facts"...there was actually no need for that defensive term to be used because there was a logical explanation as to why Mr Trump's crowd size seemed sparse on the inauguration photos. I saw photos of the Trump inauguration crowd size (2017) juxtaposed against Obama's inauguration (2009)...Yes, at first glance, a lot of difference, very packed for Mr Obama and pretty empty for Mr Trump. I wasn't so convinced so I examined both photos more intently. Eureka! The time 12:09 was printed on Obama's inauguration and 11:09 on Mr Trump's. Now that would be an hour difference. Not satisfied, I looked for more photos, oooh-la-la I found one of Mr Trump's inauguration photo with printed time 12:09 ! Just as packed but perhaps Mr Obama's was more tightly packed; but not so stark as the empty fields shown at Mr Trump's inauguration at 11:09. Now that to me was a better and fairer juxtaposition of both inaugurations. Final analysis: There's always a logical explanation, for or against, just look deeper; don't quite condone "alternative" truths, more like pseudo, may be. The only subject was the DEFINITION of the phrase "alternative facts", since you seemed unfamiliar with it. "Alternative facts" means.... lies, untruths, prevarications, falsehoods, misinformation...Trump's specialties and most of Fox News reporting about him. Not interested in your crowd-size rigmarole...that was dozens of "alternative facts" ago. Well, you used a whole string of words to explain "alternative facts"...I used just one word, pseudo; more efficient and nails it. The reason I brought up the 'inauguration crowd size' is because the term "alternative facts" originated from that incident; who is the unfamiliar one now? You can't even make simple connections between instances! 6th reminder: You can't keep your word! Can't be trusted! You seem addicted to me! lol! Pretend I don't exist, and I will do the same for you. I am here for Adam. Pax Vobiscum! My biggest fan...thanks Lam-My for saving all my precious words for posterity. I'm very flattered and touched by your dedication. 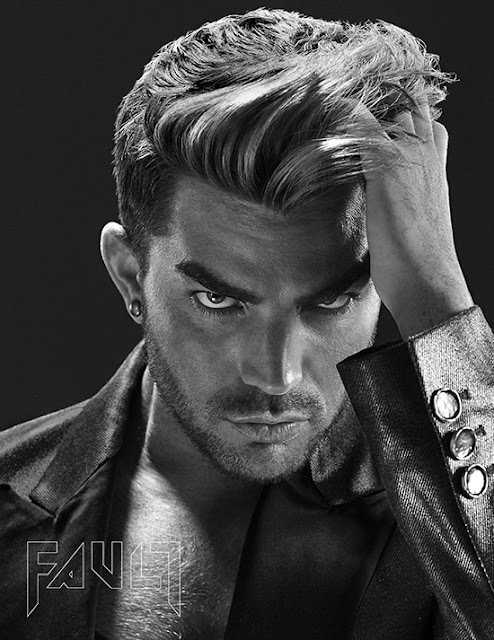 But I'm sure it must get a bit boring for the other Glamberts on this website. It is a bit spooky, though... are you a fan... or a troll? Please be aware that my every utterance is NOT directed at, to, for you. This latest instance began when I was criticizing Fox News for "alternative facts". You intervened and said you were "not quite attuned to the term 'alternative facts'"(see above)... so I told you where to find the information, and even provided "a whole string of words" (see above)....better known as synonyms.... for it. That's all....common courtesy...no different than I would have done for anyone else on this site. Now, let's move on. Have a good day. 'attuned' means to bring into accord, harmony, or sympathetic relationship' (from dictionary) and in no way to mean, I don't know what "alternative facts" inferred. This idea of 'alternative' has been around for a very long time; to me it smells of pseudo and that was the crux of my comment. Do let others speak their mind without unnecessary intrusion. "alternative' in itself simply means one of two or more choices/possibilities, but when coupled as "alternative facts"...that's where I smelt pseudo, because what is deemed a fact is a truism not easily substituted. I am not just referring to the so-called "alternative facts" floating around at the moment, rather as its implication in general.